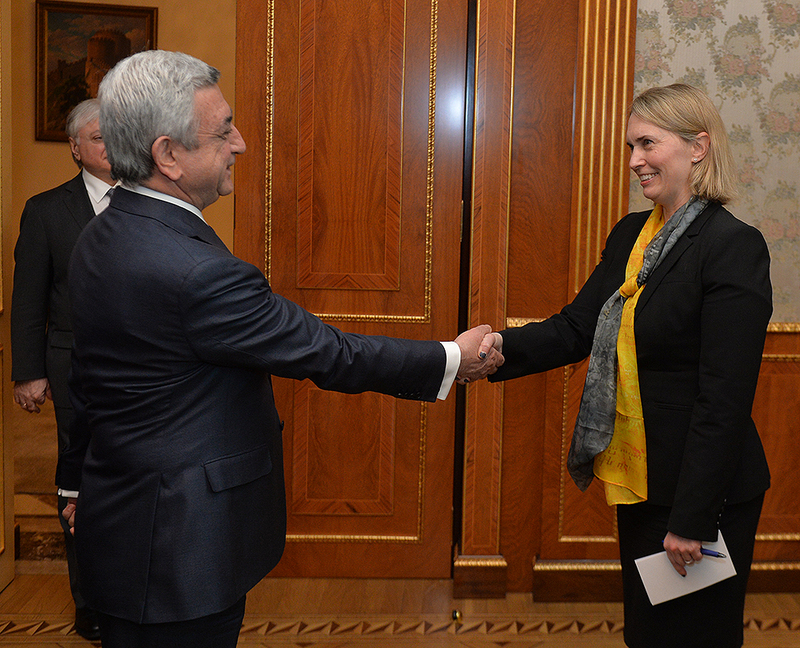 President Serzh Sargsyan received U.S. Deputy Assistant Secretary of State for European and Eurasian Affairs Bridget Brink who is in Armenia on a regional trip. 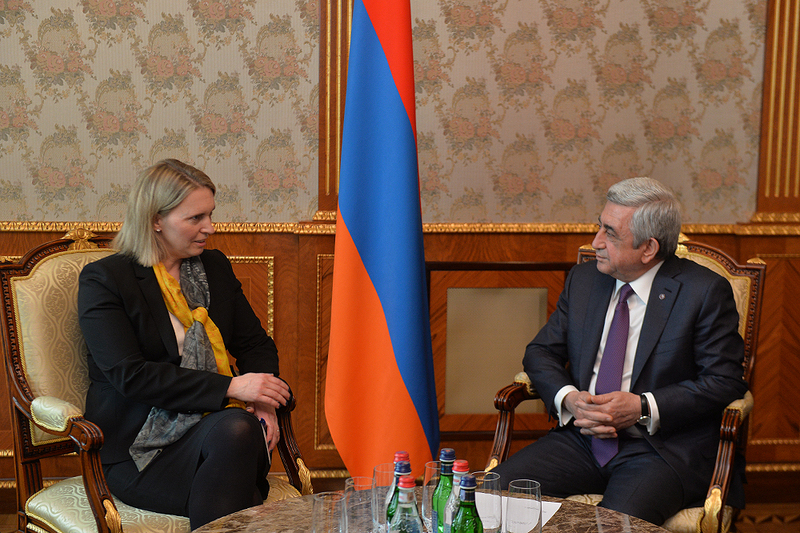 Welcoming the guest, the President of Armenia highlighted the importance of mutual visits and meetings which help strengthen bilateral interstate ties. 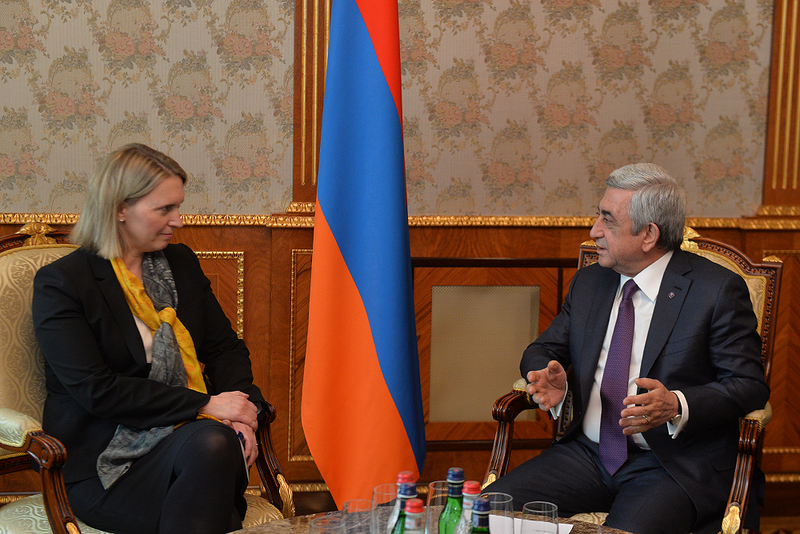 Serzh Sargsyan stressed that Armenia is interested in the furtherance of cooperation with the United States and, in this respect, is keen to develop bilateral relations in all spheres of mutual interest. 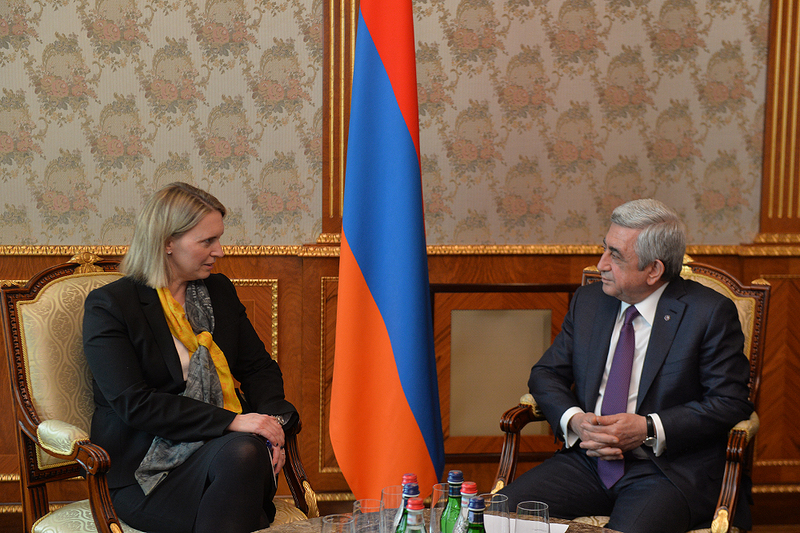 Pleased with the evolving Armenian-American relations, President Sargsyan thanked the United States for the assistance provided to Armenia in the political, economic and other spheres. The President appreciated the United States’ contribution to maintaining fragile stability in the region, and the joint efforts made with other OSCE Minsk Group Co-Chairs - Russia and France – with a view to achieving a peaceful resolution of the Nagorno-Karabakh conflict. 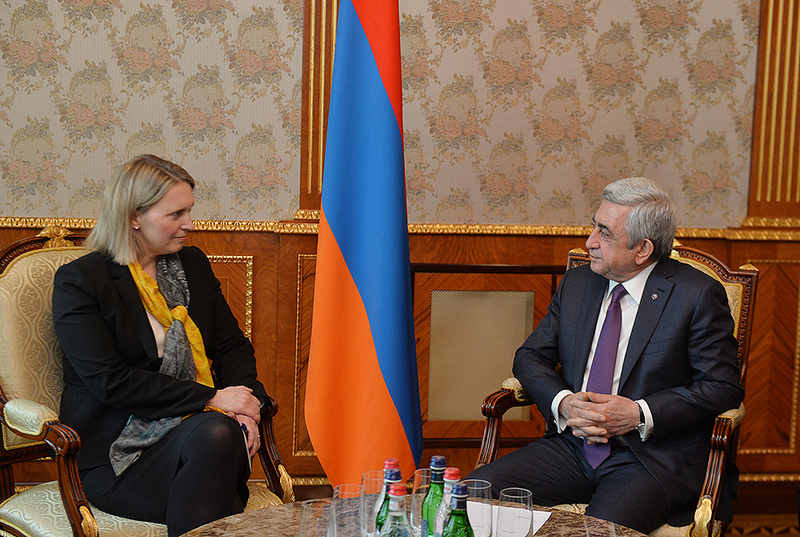 Serzh Sargsyan expressed the hope that the visit of the Deputy Secretary of State will have a positive impact on the strengthening of U.S.-Armenia relations. In turn, the U.S. Deputy Assistant Secretary of State hailed the work done to develop the Armenian-American partnership, stressing the importance of effective cooperation with Armenia in the fight against cross-border terrorism and peacekeeping operations in Afghanistan and Kosovo, as well as our country’s contribution to international peacekeeping missions. The interlocutors stressed the importance of upgrading the political dialogue between Armenia and the United States in tune with the evolving economic cooperation that has recently recorded some progress through the active efforts of the U.S.-Armenia Trade and Investment Council and the Armenian-American Intergovernmental Commission. The parties referred to regional problems and challenges, including the ongoing negotiations over the peaceful settlement of the Nagorno-Karabakh conflict.